This page includes The "Who's Who in the WFSC" columns from the 1999 issues of Across the Fence Post. collect British stamps for a time, he's no longer active in the hobby. Mert says, however, that he is about to get his grandson started in stamps. Mert has one brother and one sister and his sister-in-law is a collector. Mert is a member of the Waukesha County Philatelic Society, the Mobile Post Office Society, which deals with railway post offices, and the Wisconsin Postal History Society. Mert is the current president of the WPHS. to a group called Silgan. These changes, however, did not affect Mert's job. Although he's not sure just what got him started, Mert began collecting stamps when he was five years old. He did like geography, which comes out in stamp collecting, and his father and his grandfather were mail carriers. His own mail carrier was a collector, so he did have a number of exposures to stamps. He collected worldwide until he got into college and became interested in railway post office material. He would send out postcards to obtain inexpensive items for his collection. For a time, he was also interested in match and medicine stamps; he has some interest in other U.S. revenues as well. Mert collected Canada until his retirement, but is now considering disposing of that collection. His only exhibiting experience was many years ago when he prepared a one-frame exhibit on Wisconsin RPOs. Other hobbies include collecting railroad memorabilia and history. He has been active in railroad photography. His wife once asked him why he took so many railroad pictures, as surely no one would ever want them. After lying dormant for many years he is now receiving many requests for these photos. The Milwaukee Road Historical Association is using two of his pictures for its 1999 calendar. Mert is a member of the National Railway Historical Society. He is also a member of the Golden K Kiwanis, a group of retired Kiwani members. He and his wife volunteer a lot of time at the Oconomowoc Historical Society Museum. He has been a volunteer driver for the Meals on Wheels program and a write-up about his work with this program recently appeared in the Oconorrlowoc Enterprise. In terms of a most memorable philatelic experience, Mert related that the Wisconsin Postal History Society was involved in a project to catalog philatelic material housed in the State Historical Society of Wisconsin archives. Mert states that he was extremely surprised when a cover with the St. Louis Bear postmaster provisional was discovered. The State Historical Society of Wisconsin was not aware of the significance of the cover, which had been buried among other materials. The find was pointed out to the society and they have since taken better care of the cover. Mert states that "Stamp collecting is an awfully good hobby that sure helps with acquiring knowledge of the world. It is also wonderful for armchair traveling." 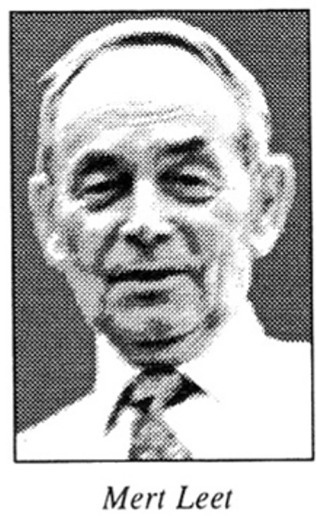 Dr. Ernie (he prefers that to Ernest) Smith of Fond du Lac has had a long and interesting life. Ernie is 90 years of age and for many years was a prominent Fond du Lac surgeon who saved both lives and stamps. He is married to Dorothy and they have five children: Ernest, Katherine, Steve, Richard and Thomas. He has collected stamps for over 60 years and has had some rather unique items during that time. When Alan Shepard became the first American to go into space on May 5, 1961, aboard the Mercury rocket, 3,000 envelopes were being canceled at Cape Canaveral to commemorate the event. A very few of these covers bore Shepard's signature and Dr. Smith was the proud possessor of three of them. He certainly was the envy of stamp and autograph collectors around the world. In addition to the three covers with Shepard's signature, Dr. Smith obtained another six signed by John Glenn Jr. and Virgil Grissom, the astronauts who were flight alternatives. Indeed it was an exciting day for Dr. Smith, and he calls these covers "personal possessions that money cannot buy." Dr. Smith engaged in some long-range planning to acquire these covers. The story goes back to one of his friends who specialized in commemorative covers dealing with airmail flights, missile shots and balloon mail. The collection included a number of covers signed by all seven of the original astronauts. Dr. Smith tried to buy just one of those covers, but his friend wasn't selling. Mercury launching. It was Congressman William Van Pelt, a member of the House Space and Astronautical Committee. He had the congressman take the covers to Florida and get the desired autographs. He then contacted the Cape Canaveral Postmaster, who said that she would hold the autographed covers and apply the Mercury rocket commemorative cancel when the flight was made. Dr. Smith was a happy man when he got the covers back and became just like his friend saying he, too, had no intentions of selling any of them. Many years ago I learned a valuable lesson from Dr. Smith. He was a dealer at WISCOPEX and I noted that he had a block of four counterfeit United Nations precancels, which I had been actively seeking. Dr. Smith had a price of $32 on the block. I told him I thought the price was too high, but he really wasn't too interested in selling them anyway. I walked away at the time, but stopped back to buy the stamps before I went home. By that time, however, the price had increased to $48, so I again walked away. The following year Dr. Smith again had these stamps at a show but the price had increased to $64. I bought them then and there and in relating to Dr. Smith what had occurred, he merely said, "What did you learn? If you want it, buy it. If not, walk away." Today I use that philosophy and it has served me well. 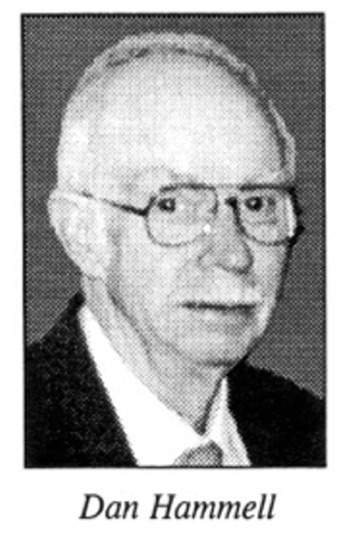 The Wisconsin Federation of Stamp Clubs' 1999 Hall of Fame inductee was Dan Hammell of Beloit, WI. Dan is a member of the Janesville Stamp Club, Walworth County Stamp Club, Rockford Stamp Club, Wisconsin Postal History Society, the Pitcairn Island Study Group, and he joined the ATA Space Study Group at National Topical Stamp Show '99. He has held numerous offices with many of these groups, including the position of president. Dan, who is 78 years young, has been married to Geraldine for 56 years. They have a son and a daughter, but neither of the children are stamp collectors. Dan has lived in Beloit for most of his life and spent 40 years working for Gardner Machine Co. He retired with the position of fluid power engineer. His wife has never worked except for a short time before they were married. Dan enjoys his ham radio and has talked to people in 321 different countries. There are currently about 330 countries in the world. He used to play golf but now prefers just walking every day. Dan is unsure about what got him started collecting stamps. He started collecting at approximately 15 years of age but really didn't get serious about it until sometime in the 1950s. His collecting interests include postal history of the lead region of southwestern Wisconsin. 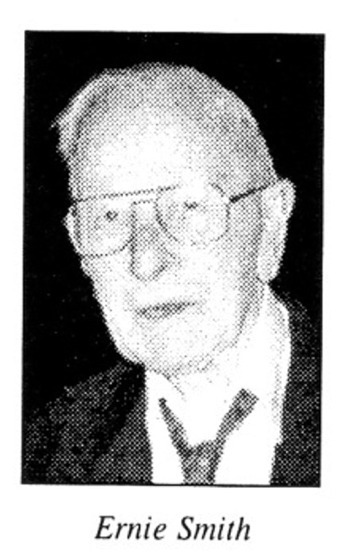 He has written several articles on the subject (one for each county), which has appeared in Badger Postal History, newsletter of the Wisconsin Postal History Society. Dan says he now realizes that he ruined a lot of postal history material while searching out stamps in his earlier years of collecting. He also collects space and when a Russian cosmonaut visited Whitewater, Dan was able to get his autograph on cover. He is currently concentrating on the Apollo-Soyuz mission for an exhibit he plans to enter at WISCOPEX 2000. The year 2000 is the 25th anniversary of the Apollo-Soyuz flight. Dan additionally collects Russia and the Pitcairn Islands. with its Perry Arnquist Award. He has exhibited several times and twice won the WISCOPEX grand award, once for his exhibit on Iowa County postal history and again for his Lombardi-Venecia (Austria) exhibit. Dan recalls being quite excited about meeting Peter McCann one year at MILCOPEX. Peter helped him dispose of some of his items through an auction. He also remembers with fondness meeting Doc Matika who helped him get started in exhibiting.